Next up Hells Wives take flight! Who needs a roadie when you can FLY! 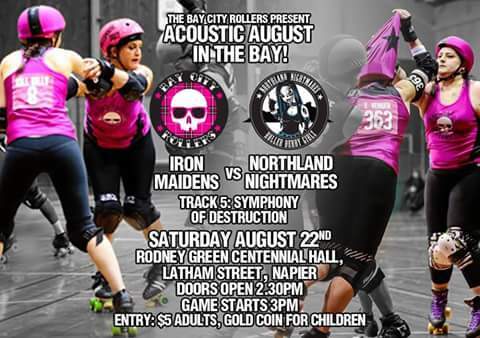 The end of the month sees Hells Wives plus our three of our lovely zeebs head to Napier to take on Bay City Rollers’ Iron Maidens at home for the very first time! If you’re in the neighbourhood come along and cheer for us! This entry was posted on August 13, 2015 by nnderby. It was filed under EVENTS! .